The Guardian newspaper recently published a major exposé about the systematic super exploitation of non-EU migrants in the fishing industry in Ireland. However this situation was brought to the government’s attention some years earlier by the office of Joe Higgins TD among others. In early 2013, at the prompting of Ken Fleming of the International Transport Federation, parliamentary questions were submitted by Joe Higgins to the various responsible Ministers. Specifically in one PQ we put this issue to Minister for Jobs Enterprise and Employment, Richard Bruton and raised the idea of allowing migrant crew in this situation the right to make themselves known to the authorities without fear of prosecution or deportation as recommended by Ken Fleming and the ITF. We were given a perfunctory response from Minister Bruton which clearly did not treat seriously the belief that the industry was rife with undocumented crew working in dangerous conditions. Minister Bruton furthermore in his answers attributed to his colleague the then Minister for Justice Alan Shatter, the most callous attitude towards crewmen in this situation effectively saying that the state had no obligation to concern itself with the welfare of these workers. Such a response would have only served to reinforce the fear of migrant crewmen rather that assist in bringing it fully out into the public domain and properly enforcing safe work practices. It’s to this government’s and the Irish media’s shame that it took a further two and a half years and a UK newspaper to carry the story to force this issue into the headlines here and onto the political agenda. 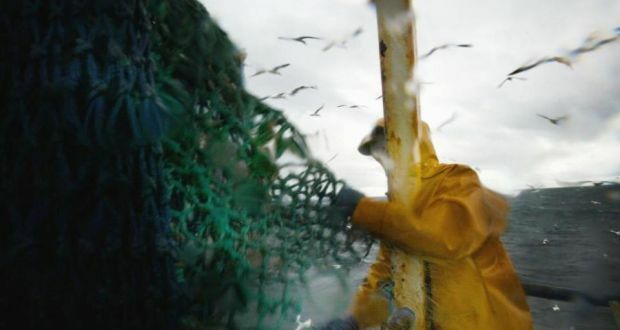 Action is needed now and an amnesty must be declared for undocumented migrant workers in the fishing industry working in dangerous conditions. The trade union movement must take action to ensure this happens.